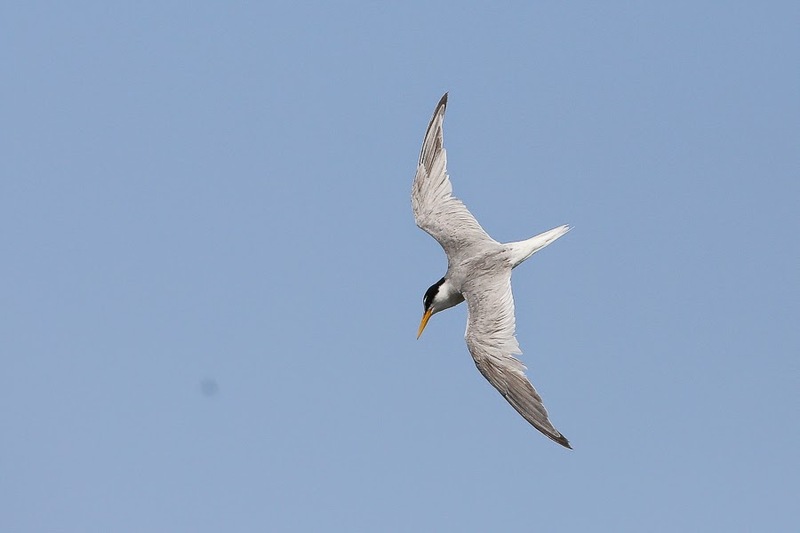 Whilst birding at Sabkhat Al Fasl last weekend it became apparent there were plenty of terns about. 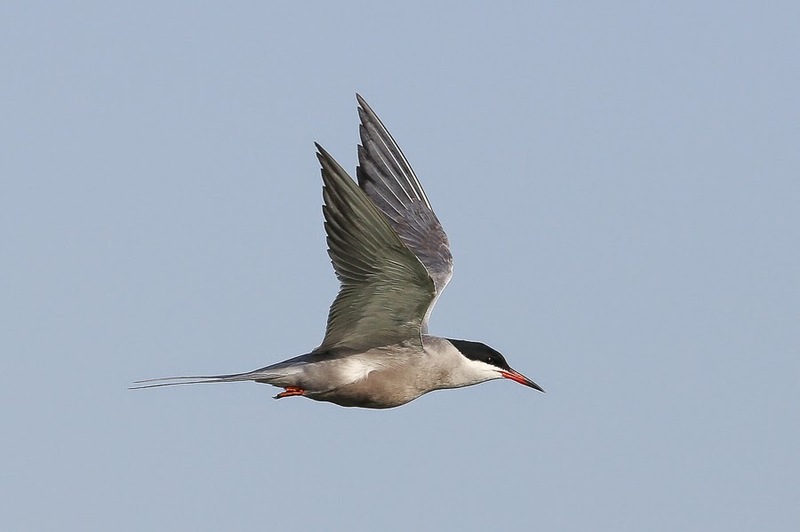 The most obvious where the White-cheeked Terns that were about in their hundreds and are just returning to the Arabian Gulf to start breeding. All birds were adults in full breeding plumage and they were flying around catching fish, many already apparently paired up. Breeding mainly takes place on offshore islands with egg laying starting about now. I found one bird that looked in a bit of discomfort as it trying to swallow a large fish. 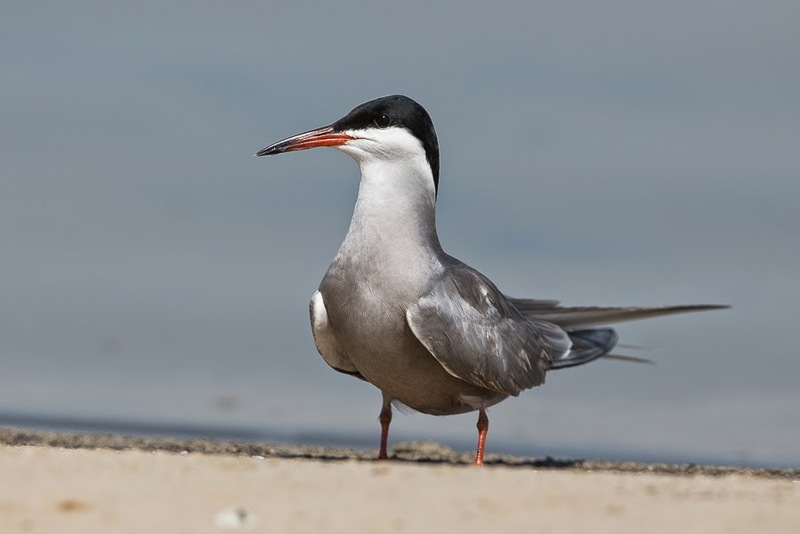 Other Terns seen in good numbers were Little Terns that also breed in the area, this time mainly inland on open water bodies. Again these terns were busy feeding up presumably to get fit and healthy for the breeding season. 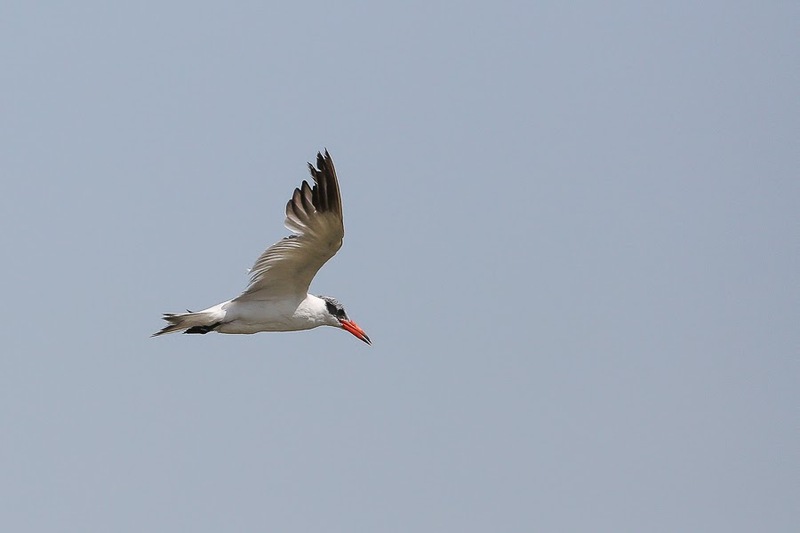 Other Terns seen included Gull-billed Terns, Caspian Terns and a single White-winged Tern. 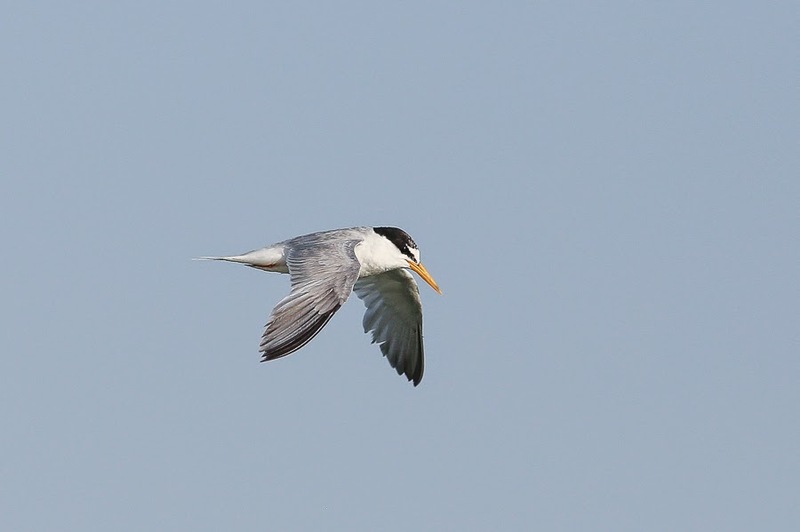 Sabkhat Al Fasl is probably the best place for getting close up views of both White-cheeked and Little Terns on the Eastern Province mainland. 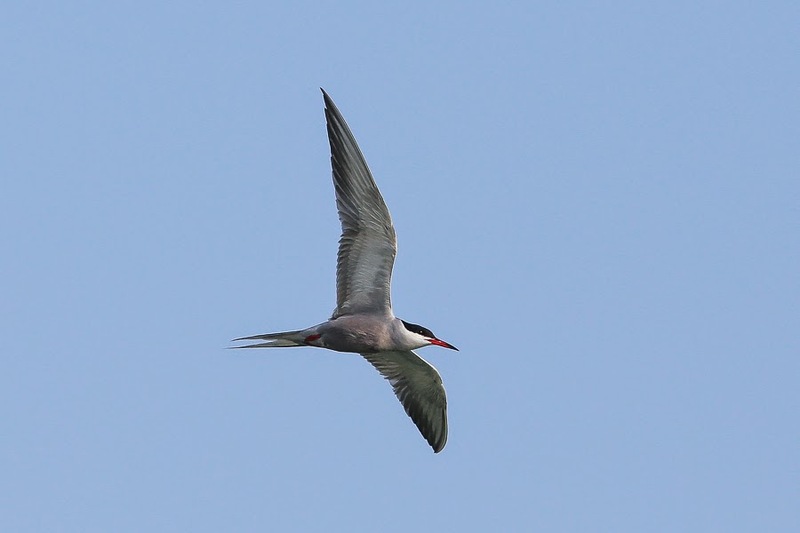 Hopefully we will be going to Bahrain again in June to ring tern chicks on Al Jarim Island South (26deg 23min N 50deg 28min E). 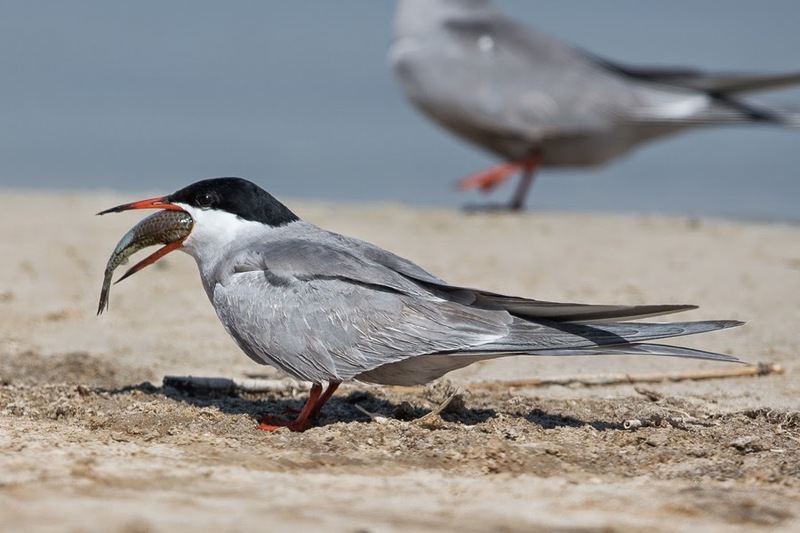 Here we catch White-cheeked Terns if we go to the central Island where they breed, but mainly Lesser Crested Terns and Bridled Terns on the southern island.